Hello all, hope you had a good week and that you enjoyed the Easter period. Lots of new items added over the Easter break for you to enjoy and ‘dig’ through, mainly vinyl but some cassettes and CDs also, as always, from all sorts of genres. Send a fax! A fax facility has now been added, whether you think it’s kinda retro cool or a genuine useful benefit for you, send you faxes to (UK) 01225681008 or (International) +441225681008. A special mention for the Price Reductions this time, there are a lot, there have been 64 reductions this week! There’s reductions through Vinyl, Cassettes and CDs through all sorts of genres. So, to the weekly count of Countries reading the Blog… 53 Countries reading the Blog… like to thank all those who read this Blog and to those who decide to follow it, it’s a pleasure to produce something which you feel is worthwhile following, the ultimate compliment, thank you! Mandersmedia towers is expanding its offices over the next few weeks to make room for more music titles for you all to pick from… Could have been a picture of an Office but I’m sure an owl listening to music through headphones is more interesting! A reminder that worldwide shipping for FREE was launched last week, that’s for a spend of £20.00 or more in the United Kingdom and £50.00 or more Internationally! It gives a great opportunity to save and also make lower priced items more affordable (did you know there are 29 items for sale under £0.50!). Some cassettes have been added within the last week, around 20 of them, very diverse range from Rock, Pop and some Easy Listening, check out all cassettes at mandersmedia. By the time you read this, the Price Reductions will be published for you to look through, hoping there’s something of value to you. 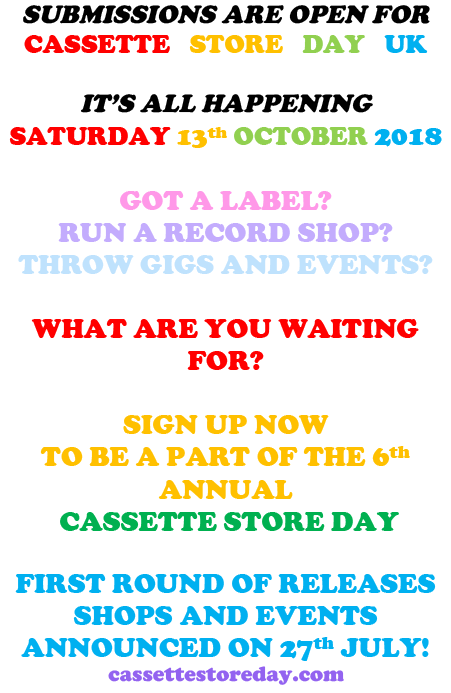 cassette shipping now from £0.75 UK! Firstly, some great news about shipping prices: the price of shipping cassettes has dropped from £1.20 to £0.75 for the first for Royal Mail Second Class, price reductions have also extended to First Class, Second and First Class Signed for in the UK, giving more oppotunity for you to grab a cassette at a lower price. When buying from mandermedia, make your way over to the ‘Seller’s Shipping Information’ and there’s an opportunity to buy various cases and covers for your purchase to keep them clean and protected, so in relation to that, some more great news for you, MORE PRICE REDUCTIONS! Protective 12″ sleeves for Vinyl Records are currently 50% OFF, reduced from £1.00 to £0.50 each! In addition, lined inner sleeves are 50% OFF from £0.50 to £0.25 each and 12″ LP frames are 25% OFF from £10.00 to £7.50 each. On top of this, CD cases are now available to purchase. By the time you read this, the price reductions would have been published, hopefully there’s something there of interest or a gem you’ve been waiting for at the right price. That’s it for this week, please feedback about what you think of this Blog and this post, what would you like to see? If you like what you see, please spread the word and don’t forget to visit mandersmedia.co.uk. Until next time, thanks to everyone past, present and future buying from mandersmedia.